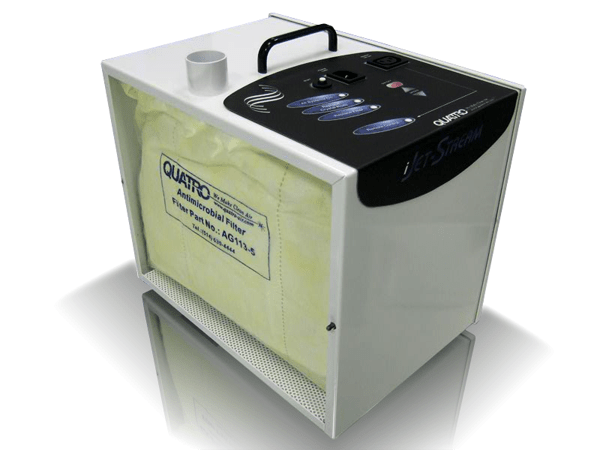 Maximum airflow 110 CFM with a maximum pressure of 90″ W.C. Call for help with your product selection – 1-800-626-0664 or fill out the Contact Form below. This entry was posted in Construction Renovation Schools Hospital Air Scrubber, Debris Capture, Dust Collectors, Vacuum, Air Cleaning System, Engraving Milling Cutting Chip Extraction Systems and tagged bag filter, Compact Dust Collector, dust bag, dust collector, high pressure blower, Jetstream, portable, QUATRO, Quatro Air Technologies. Bookmark the permalink.